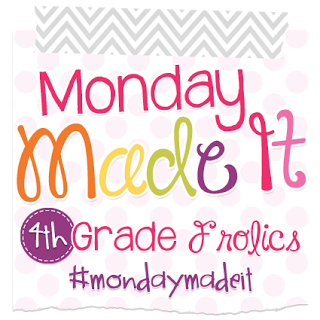 It's not officially summer until you've linked up to Monday Made It with 4th Grade Frolics! This is going to be a great way to keep me on track with creating new things for my classroom, TpT, and even just for me! My summer vacation started last week, but as you may have heard, last week was No Adulting Week, so I haven't really "made" too much yet. One thing I've been trying to do is organize my ideas in a way that keeps me on task now that I have so much more free time. You know how you can have a million ideas but can't figure out which one to start on so you end up on the couch watching RHONY reruns? I'm trying to avoid that trap this summer! Anyhow, my bullet journal is great for helping me plan out my day and organize my tasks. I've been working on some layouts that hopefully will keep me productive and away from Bethenny and Luann. This is my weekly layout, before filling in any details. 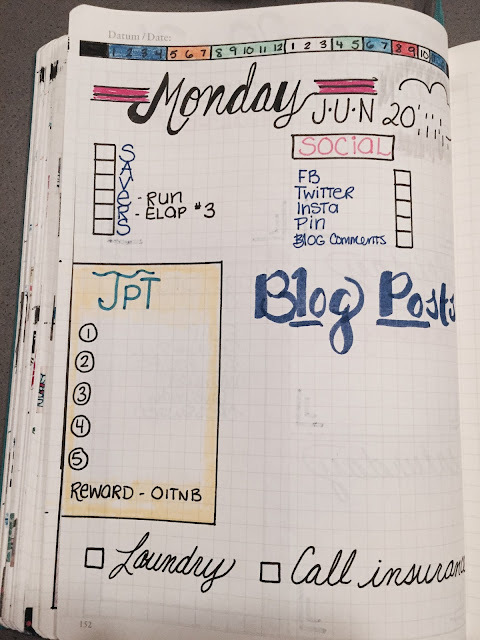 I've been using a bullet journal since April, and have tried a different weekly layout almost every week...which is the great thing about using a bullet journal! The weekly layout kind of gives me an overview of what I need to work on each day. I'm trying to have one day devoted to certain tasks. For example, Monday is exclusively for TpT tasks, Thursday is for writing all my blog posts for the upcoming week, etc. I'm hoping that this will make me feel less scatterbrained. 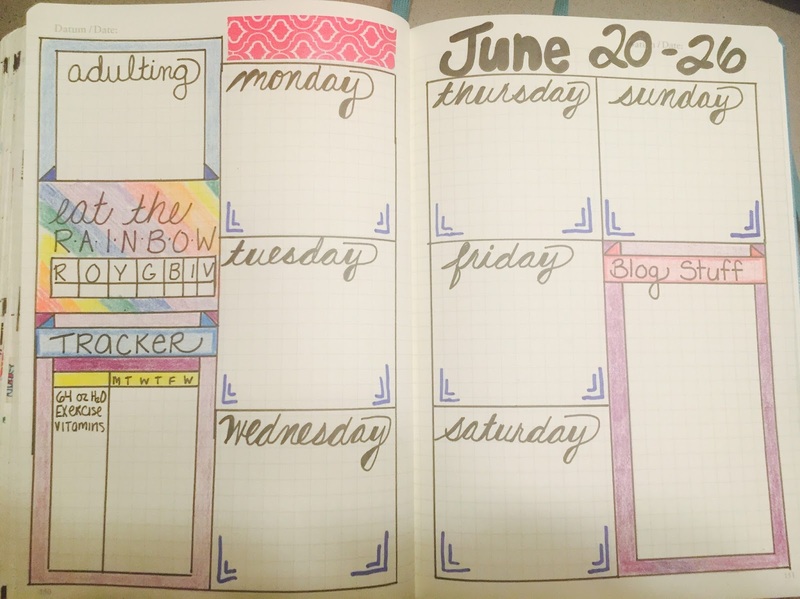 On my weekly layout, I also have an adulting area where I list errands/appointments, etc., a tracker for certain habits I want to make sure I get into, a place to list blog post ideas, and an "Eat the Rainbow" section. My diet is a MESS and I need to get back on track with clean eating ASAP, so that area is to remind me to seek out fruits and vegetables of all colors when planning my meals. I even made this list to include in my BuJo (that's what the cool kids call it) to make sure I eat all different types of fruits and veggies! Here is my daily layout, again before filling out my tasks. At the top I have my time tracker. The different colors represent how I plan to use those blocks of time (orange- morning routines, etc.). Then I have my SAVERS tracker and my Social Media checklist. Since Monday is TpT day, I listed the things I needed to do for my store, and then my reward for completion (we all need incentives, right)? I spent last week not adulting, so I'm behind on my blog posts and need to catch up, so I'll list everything I need for each post there. 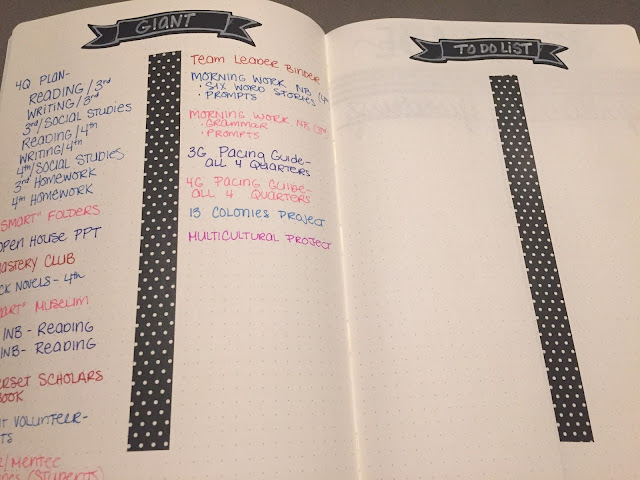 I also have some tasks I need to take care of on the bottom of the page. Again, I change up my dailies all the time...this is working for me right now, but I may need to add or adjust things as I go. At the front of my work BuJo I'm listing all the things I want to have at least started by the beginning of the school year. This is like a stream-of-consciousness list...any time I think of something, I write it down, not worrying about importance/size of the task. 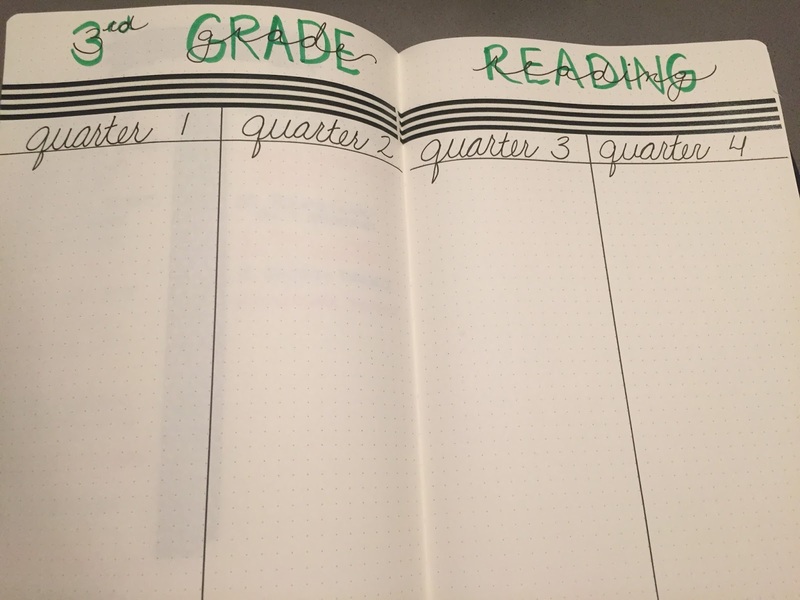 I am teaching two grade levels next year, so I want to have as much organized as possible BEFORE school starts! This is the layout I'm going to use to plan out my instruction for the year for 3rd Grade reading. I have separate pages devoted to 4th grade reading, and 3/4th grade language arts and social studies. It seems like a lot of work now, but I will be so happy later on that I planned this all out now! This is a layout I just started in my business BuJo. I am going through the TpT forum posts about most popular topics each month and adding them to each column. Then, when I am stuck on an idea, I can come to this page for inspiration! So that's how I've been planning out my time so far. Next week I hope to show you some things I've made, since I'm so super organized! In particular, I'll be heading to Michael's to purchase something that rhymes with "bite fox," because there's nothing I love more than hopping on a bandwagon! Our last day of school was Friday so I'm officially on break as of today. 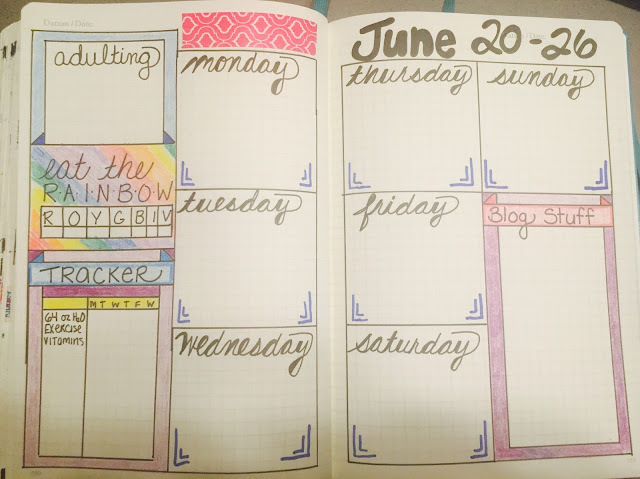 I love your BuJo and your eat the rainbow idea... I may need to incorporate that into my diet. Your "No Adulting Week" sounds AMAZING! That's basically what I have been up to...except I'm saying, "YES" to all the Real Housewives and just finished 5 seasons of Gilmore Girls. 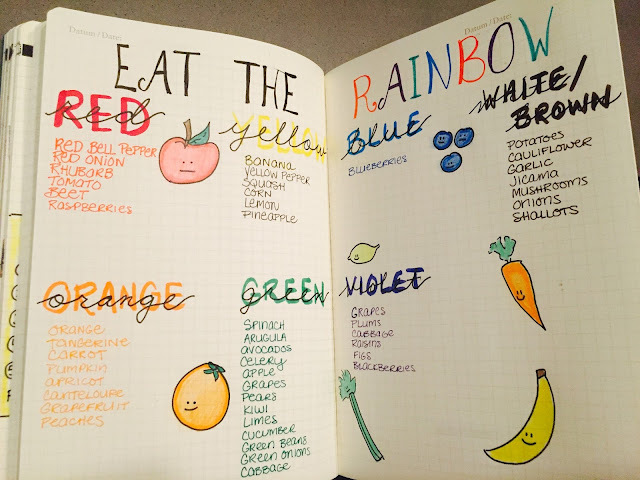 Love your "Eat the Rainbow" and your bullet journals. Very creative and cute! Thank you! I love having a creative outlet that's functional at the same time! Marianna - I love how organized you are in your personal and professional life! I love your eat the rainbow and blog/product planning journals. Way to go! I love all of your ideas. Thank you for sharing all of your colorful, organized layouts. Wow! How organized and beautiful your journals are! That must be a lot of work, but fun for you I'm assuming! Thank you, I love Monday Made It! Once you start, bullet journaling can become so addictive (as you see from my post)! I love your bullet journals! I too have them for teaching and one for my blog & TPT things, but mine are not as pretty as yours are! You've inspired me to clean mine up a little!